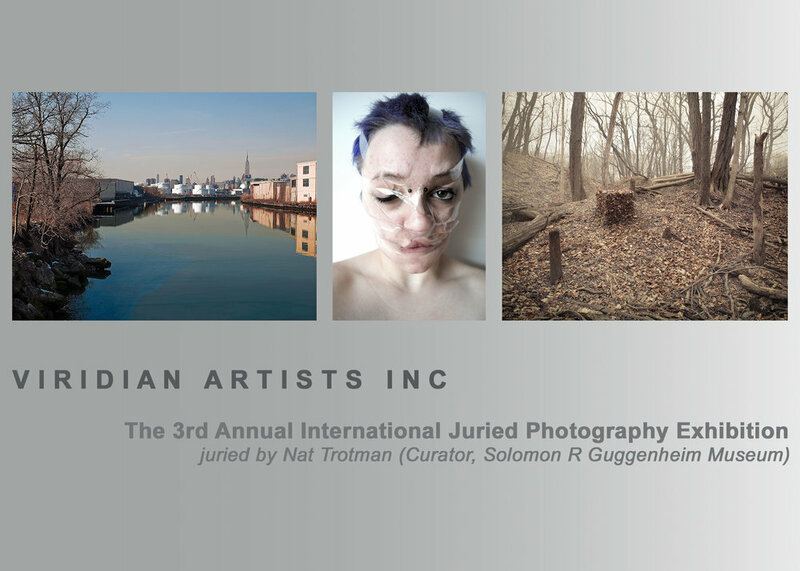 Chelsea: Viridian Artists Inc. is pleased to present their 3rd International Juried Photography Exhibition. Curated by Nat Trotman, Associate Curator, Guggenheim Museum, New York. The exhibition opens February 5th and continues through February 23rd, 2013. In celebration, a special reception will be held on Saturday, February 9th, 4:00-7:00pm. This exhibition is a diverse gathering of twenty-five photographers from the United States and abroad. They share a common interest in capturing a specific moment and situation using the photographic image as a starting point with a variety of ending goals. First, second & third prize winners are Roger Generazzo, Jordan Sibley and Mark Dorf. Viridian Artist, Robert Mielenhausen, chair of the committee that organizes the Juried Photographic Competition at Viridian, invited Nat Trotman to serve as the Curator for Viridian Artists third annual competition. Trotman joined the curatorial staff of the Guggenheim in 2001 as curatorial assistant and holds an M.Phil. from the Graduate Center of the City University of New York, where he focused on performance, photography, and time-based art. In his role as Curator of the photography competition at Viridian Artists, he spent many long hours viewing over 500 images sent to Viridian from around the world. In his curatorial statement, Trotman states: “Whether through their stylistic refinement, conceptual clarity, emotional power, or sheer beauty, these images offer a brilliant glimpse of what photography has to offer today”.